A mother is a voice of reason, a storyteller, an advice giver, a hand-holder, a cheerleader, and so much more. Mothers come in all shapes, forms, and provides infinite love. Show your appreciation for Mom, Grandma, Aunts, and Sisters with this carefully curated selection of gifts. Spring Wreaths: Allow Mom to refresh her home any season of the year with our curated selection of wreaths that are perfect for the spring and summer months. Made from freshly harvested greenery, herbs, and flowers – these wreaths will remain vibrant all season. Choose from wreaths that include lavender, roses, myrtle, or hydrangeas. Mom will love it! Bulb Gardens: Our easy-to-grow bulb gardens absolutely explode with color – a whole garden’s worth of beauty nestled into a variety of attractive containers, baskets, and cachepots. Mom will love the array of colors, forms, and fragrance. 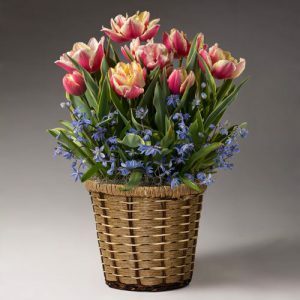 Choose from a selection that includes tulips, muscari, amaryllis, daffodil, and so much more! Harvest Window Box: This Cedar garden container will make the best kitchen herb garden box you’ve ever seen. Cedar construction ensures the box can handle moisture without warping or rotting. Grow your own herbs right on your kitchen counter! Just trim them with the stainless food-grade scissors and place the scissors back into the built-in holder for easy storage. This is the perfect gift for the chef in your life – they’ll have access to fresh herbs at any time! Heavenly Chocolates Sampler Gift Box: This chocolates sampler gift box is the perfect gift for those who like a little variety. 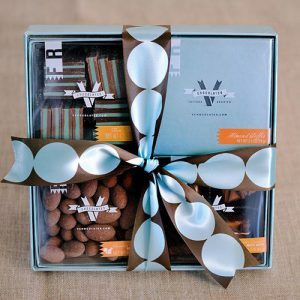 The sampler offers a delicious mix of chewy, crunchy, and sweet and salty chocolates, offering something for everyone. There’s even a hint of mint in the mix. Prepared with no additives or preservatives, naturally gluten-free and certified Kosher, you’ll get nothing but the very best. Craftsman Adirondack Chair: A great gift to gift the gardener in your life! Provide them with a place to relax once all the hard work is done! This chair will bring classic beauty and comfort to any deck or patio. Crafted from the tropical hardwood Kapur and rubbed with linseed oil, this chair will last for seasons to come! As an added reason to gift this chair as a gift to mom – a portion of the purchase will help to fund the Tropical Forest Trust, an international Non-Profit Organization that helps local Foresters meet standards for environmental best practices, ensuring that beautiful woods like Kapur are harvested in a sustainable fashion with as little ecological impact as possible. 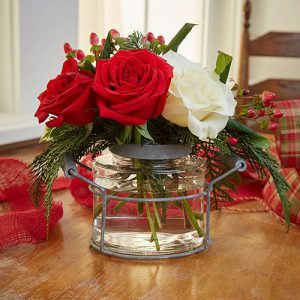 Jar Flower Holder: This is a wonderful gift to give to mom so she can display cut flowers from her garden in a unique and beautiful way! It is crafted from glass and distressed metal for a lifetime of use. Aiding to allow for perfect cut flower display, the lid is adorned with a dome of wire mesh – so flowers don’t flop over from poor support. Remember, a gift certificate is always a great gift idea! With our E-Gift Cards, your gift is delivered almost instantly! 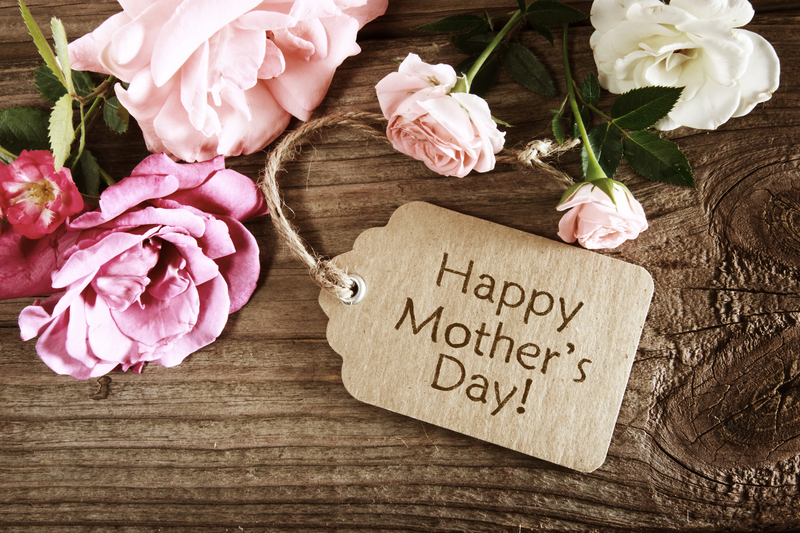 For more great gift ideas for mom, you can visit our online gift categories!